Tom is a senior junior with over 30 years experience in both family and criminal law. He established himself early on in both areas and has built up a loyal client base in criminal work where he primarily defends clients charged with all manner of allegations from the not so serious to the utmost serious offences. 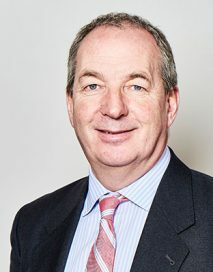 Tom’s experience in the crown court is often seen as an advantage in cases where the challenging of evidence, for example in finding of fact hearings pertaining to allegations of sexual abuse comes to the fore. Tom was one of the first barristers instructed to represent parents named in the Cleveland child abuse cases of 1987/88. Following on from this his family practice developed and these days Tom is regularly seen representing local authorities, parents and guardians in substantial care matters within the County and High court. Whilst Tom does undertake family work within the FPC jurisdiction his family practice predominantly covers county court care work and high value private ancillary relief and financial provision cases. Throughout the entirety of Tom’s years at the bar he has received instructions relating to financial matters and has where appropriate and in the best interests of his client sought to resolve matters by means of offering constructive advise either in writing or conference, whether joint or otherwise. Tom’s experience does however enable him to identify those cases that are not capable of resolution without court intervention; advice in such instances is delivered punctually and with clarity ensuring the client understands proceedings and procedures from start to finish.